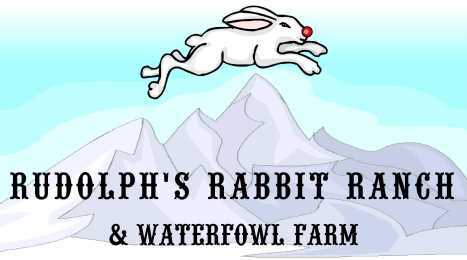 one of the Web's very first and most popular sites for learning how to raise meat rabbits on a small scale! To learn more about our ranch and see what we have for sale click on "Visit the 'Ranch'." To learn how to raise meat rabbits in a backyard setting click on "Raising Meat Rabbits Primer." Interested in astronomy or the Titanic? Are you prepared for emergencies? Check out these informative websites. Keep up with the latest happenings on the farm. "Like" us on Facebook. Page last modified August 5, 2015. © 2006-2015 by Mary-Frances Bartels. All rights reserved. No part of this web site may be copied, distributed without permission or sold under any circumstances.